Look! I Made Pete Postlethwaite! Eldest and I have been working feverishly on the dollhouse for the past couple of days. It gives us something to do. We make the plans for it, discuss them, and then we execute them. I like it because she has smaller, more nimble hands, so I make her do things I don’t like to do, such as paint trim (this summer, I realized, as a 13-year-old, she can do pretty much any chore I can. Too bad for her). We decided to make some dolls. My first attempt didn’t come out so hot. In fact, as I was sculpting his face, I thought, “This guy’s kind of messed up,” and almost squished the Sculpey back together to start anew. But he looked familiar. 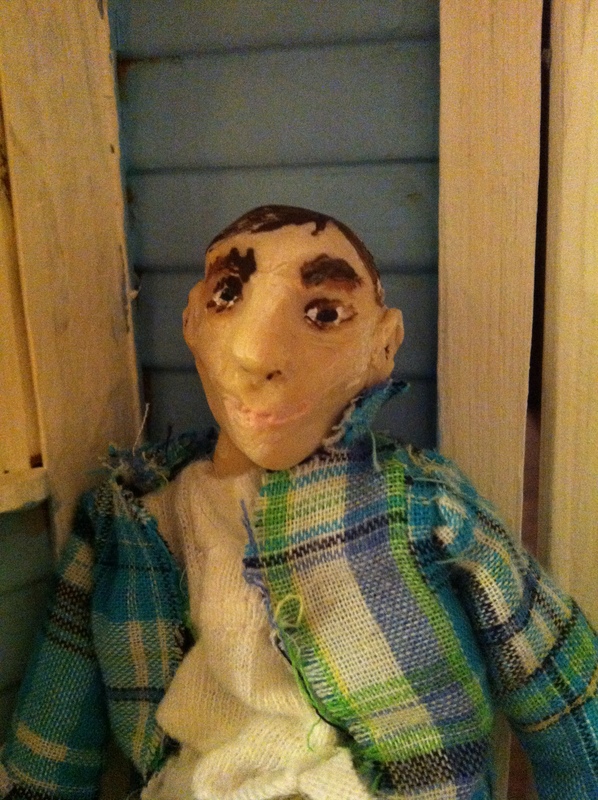 I made a Pete Postlethwaite doll! Postlethwaite, who passed away last year, was a British actor who was in pretty much everything. The Town, Inception, Clash of the Titans, and of course, The Usual Suspects. Since then, I have found a doll tutorial on the doll artist Patricia Rose’s website, and hopefully I will someday be 1/25th as good as she is. Look at her Robin Hood doll on the page. It’s made out of Sculpey, and even has real chest hair. But I do like my Pete doll. He’s sort of too big, but I made him some clothes, and he will have a special place in the dollhouse. Any activity such as this with your children is time well spent. I like Pete too. He’s very unique and his own person. Good luck with the rest of the dolls/house. Sounds fun.